Lots of Independence Day treats await! 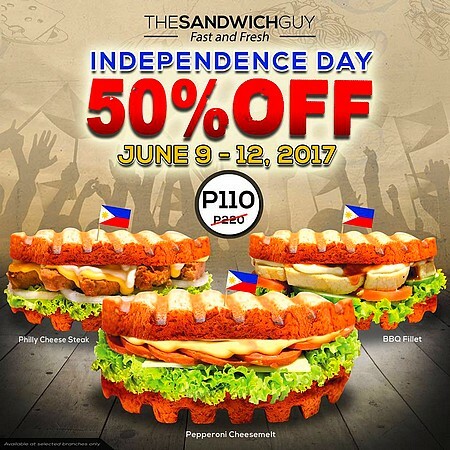 (SPOT.ph) It's Independence Day weekend! Go ahead and enjoy your freedom to eat your guilty pleasures. 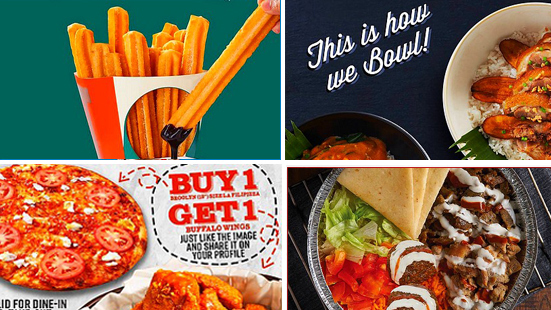 This week's list of promos includes free wings, lunch specials, rice bowls on a budget, and more. 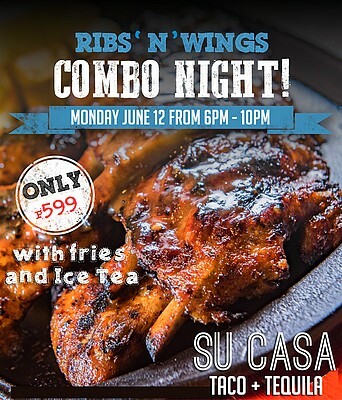 Celebrate Independence Day at Su Casa with their off-the-bones ribs and buffalo wings on June 12 from 6 p.m. to 10 p.m.! 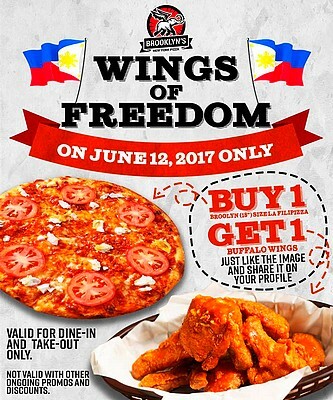 For just P599, this promo comes with fries and iced tea. Su Casa is at La Huerta Village Center, Multinational Village Multinational Avenue, Parañaque City. For more information, log on to Su Casa’s Facebook page. 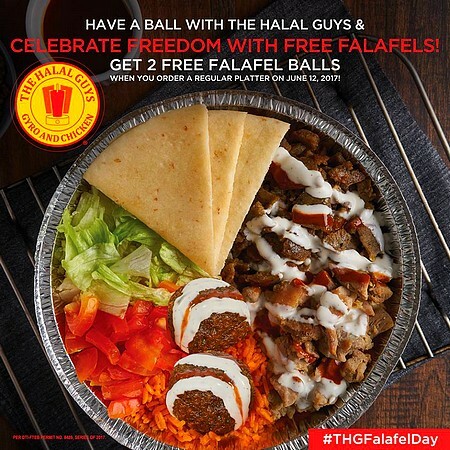 Join The Halal Guys on Independence Day in celebrating freedom and International Falafel Day! 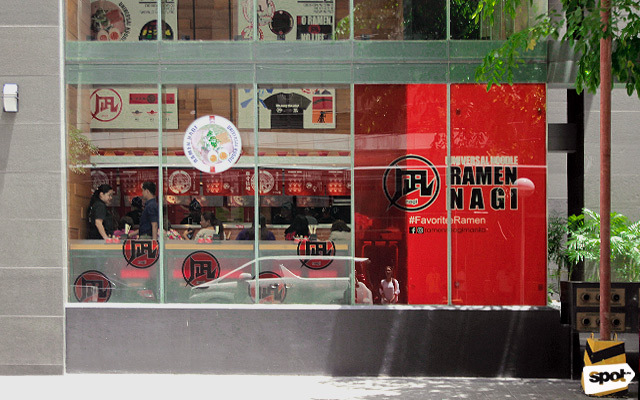 Order any Regular Platter on this day and be treated to two free falafels. See a list of The Halal Guys branches. For more information, log on to The Halal Guys' Facebook page. Free yourself from guilt of eating too much meat this Independence Day! Have a taste of The Sandwich Guy's guilt-free sandwiches by Quorn, a healthy meat-free protein, for 50% off! This promo is available from June 9 to 12 at participating branches only. See a list of participating The Sandwich Guy branches. For more information, log on to The Sandwich Guy's Facebook page. 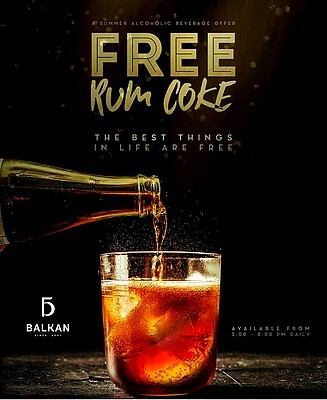 Talk about happy hour: Balkan is giving out free Rum Coke when you dine in from 3 p.m. to 8 p.m. Promo is available daily at the Bonifacio Global City and Legazpi Village branches. Balkan is at 2/F Crossroads Building, 32nd Street, Bonifacio Global City and 109 Perea Street, Maripola Building, Legazpi Village, Makati City. For more information, log on to Balkan’s Facebook page. 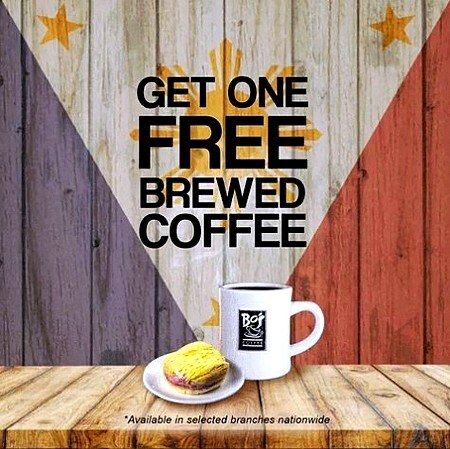 Free coffee awaits everyone at Bo’s Coffee this Independence Day! With every ube ensaymada purchase at participating Bo's Coffee branches on June 12 from 2 p.m. to 6 p.m., you get a free cup of brewed coffee. Don't miss out! 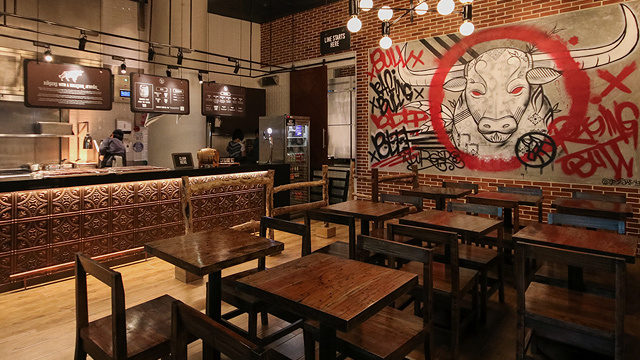 See a list of participating Bo’s Coffee branches. For more information, log on to Bo’s Coffee’s Facebook page. 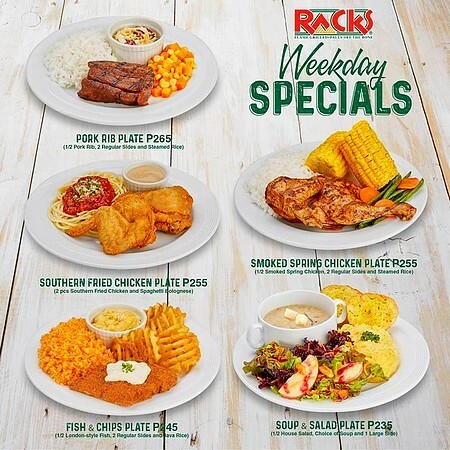 Weekdays never have to be boring again with RACKS’ Weekday Specials! Dig in to these classics: Pork Rib Plate, Southern Fried Chicken Plate, Smoked Spring Chicken Plate, Soup and Salad Plate, and Fish and Chips Plate. Each order comes with a free Dalandan Cooler or Pink Lemonade drink. Catch the Weekday Specials from Monday to Friday in all RACKS branches. Price starts at P235. See a list of RACKS branches. For more information, log on to RACKS’ Facebook page. Want more dip? 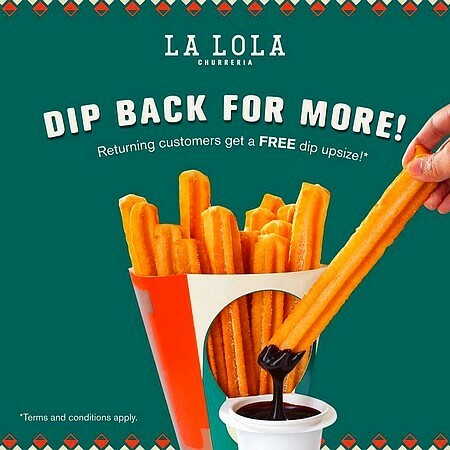 Purchase any product from La Lola and get a free dip upsize when you buy a Medium, Large, or Extra Large Churros Clasicos on your next visit. This promo is available until June 30 at participating branches. See a list of participating Churreria La Lola branches. For more information, log on to Churreria La Lola’s Facebook page. 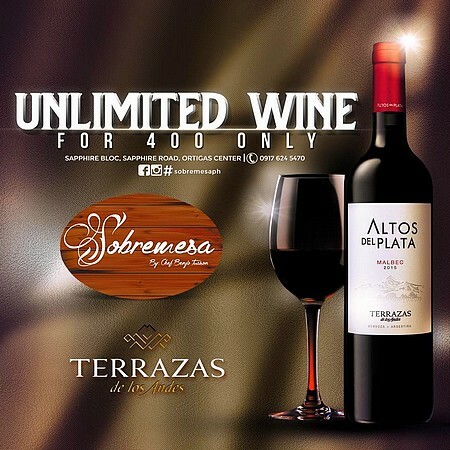 Make your dining experience extra special with Sobremesa’s unlimited wine for only P400. You can even pair it with their unlimited steak promo which goes for P1,000. Sobremesa is at Sapphire Bloc, Ortigas Center, Pasig City. For more information, log on to Sobremesa’s Facebook page. Brooklyn’s New York Pizza is treating you to a free order of buffalo wings when you purchase a Brooklyn-sized (18 inches) La Filipizza on June 12. All you have to do is like and share their Facebook post to avail the promo. See a list of Brooklyn’s New York Pizza branches. For more information, log on to Brooklyn’s New York Pizza’s Facebook page. 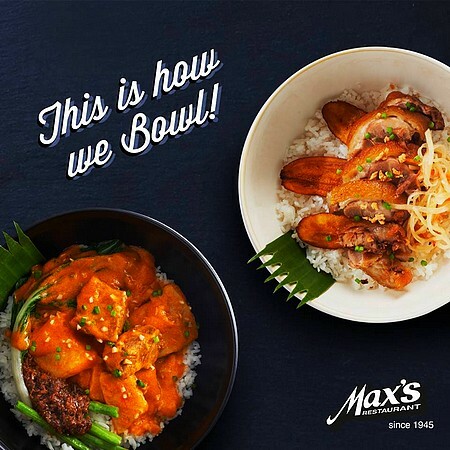 Discover BOWL-ing like never before with Max's. For P199, indulge in a Crispy Pata or Kare-Kare Rice Bowl. This deal is available in participating branches only. See a list of participating Max’s branches. For more information, log on to Max’s Facebook page.